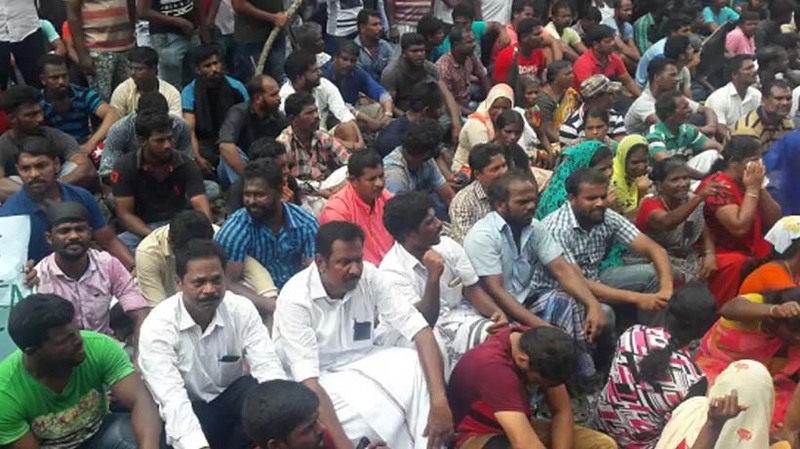 People’s Watch, a human rights organisation, has strongly condemned the Kanyakumari police for registering criminal cases against fishermen and their associates demanding state government’s intervention in searching their family members who were lost in the sea in the aftermath of Ockhi cyclone. In a statement, its executive director Henri Tiphagne said right to freedom of expression includes right to participation in spontaneous protests when such natural disasters leading to several hundreds of missing fishermen arise and when there is delayed action on the part of government and its instrumentalities. “All the protest movements over the past few days have solely been against the total callousness and wilful negligence of the Indian Navy, the Coast Guard, the marine police and the fisheries department who failed to undertake effective measures to search the missing fishermen immediately,” he said, condemning the police for filing criminal cases against parish priests and civil society leaders including S.P.Udaya Kumar and Thirumurugan Gandhi. The human rights organisation also came down heavily on the alleged torture of the members of Makkal Adhigaram who were only pasting posters in connection with the people’s protest in the district. “This only points out that democracy is at crossroads in the state,” he said. He noted that Chief Minister’s visit to Kanyakumari today was a result of continued protests of fisher people in the last few days. “Registering criminal cases against genuinely protesting sections of society is antithesis to democracy and a genuine regime that respects the rights of people. It shows that they prefer to serve their masters instead of serving the people whom they are to protect,” Mr.Henri said.